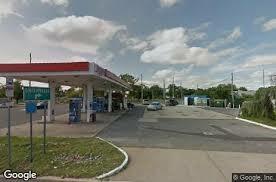 Gelt Financial just refinanced an operating Gas station and C store in Pleasantville, New Jersey. When the owner of this property found himself on the receiving end of a default notice from his bank, after going to numerous other banks and lenders Gelt refinanced the mortgage and took the risk away of his existing bank foreclosing on him. According to Jack Miller, this is not uncommon to have mortgages paying their banks perfectly and for technical or other reasons the banks put them ion default leaving the owners in desperate and very stressful situations. In fact, it’s common today, it’s a terrible situation banks put good hard-working people in all the time. Gelt Financial, is a private portfolio lender and we work with borrowers who have unique challenges and issues and customize a lending product that meets there needs, borrower deal directly with the decision makers who listen and understand. When dealing with Gelt you deal directly with the decision makers as well the same people service your loan, so we get to know our borrowers and really work with them through the process. Purchase, Refinance, Storied Loans Bridge Financing, Debtor in possession, Joint Ventures, Equity / Mezzanine, Foreclosure/DPO, Partnership Buyouts, Subordinated Debt, Acquisition, Judgement Payoffs, Note Financing, Recapitalization, Rehab, and Value-Add deals.